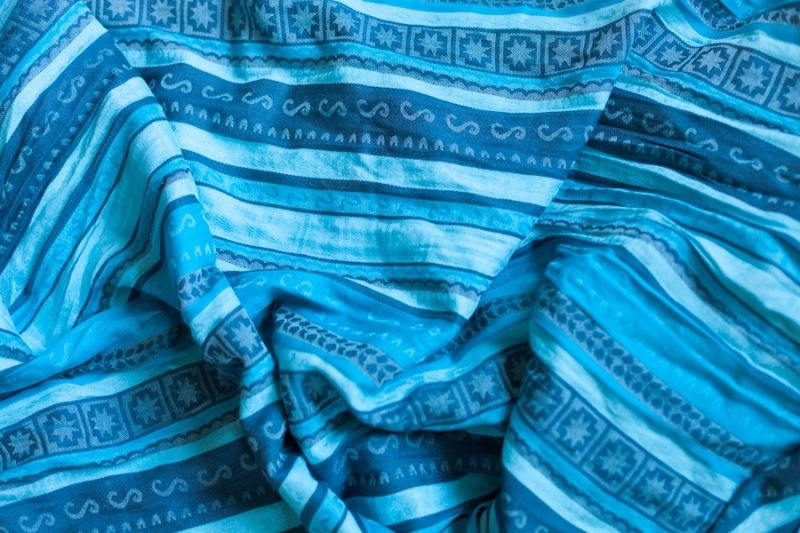 Beautiful and fresh design with three shades of blue. A perfect fit for all seasons - made of 50% cotton and 50% bamboo. Zara wraps are designed by Ellevill and produced in India. 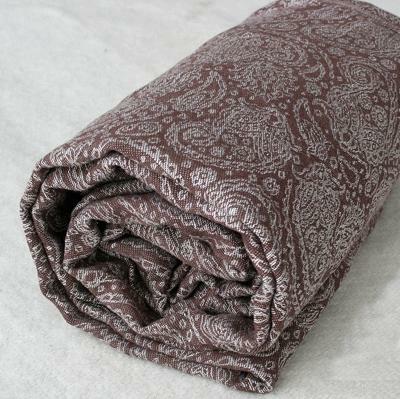 This is a three-coloured, jacquard woven wrap with a distinctive pattern. It gives perfect support to your child, both small and toddler, optimal comfort and no pressure points for either child or adult. The wrap is thin but exceptionally sturdy. It also softens very quickly. The Zara is easy to tie on because of the tapered ends and results in an incredibly small knot. Width is approximately 70cm. The beautiful pattern is inspired by old Norwegian knitting designs and clothes/rugs from South America. Iron after wash to stretch fibres. 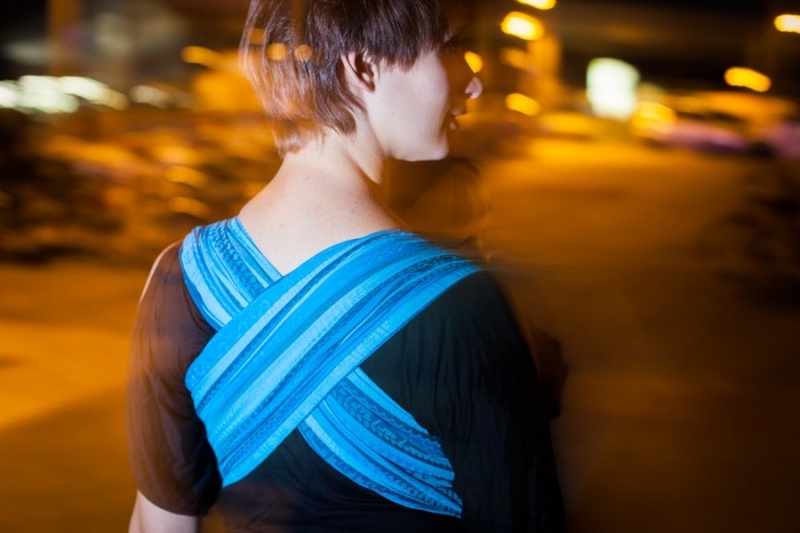 The Ellevill Zara wrap is a machine-woven fabric made in India on small looms. Ellevill chose this fabric for its beautiful textural qualities and its durability and stability. Small knots and more seldom, random threads woven in, can occur. These are in no way to be considered flaws; rather they are a part of the beauty of the ancient art of weaving. These minor imperfections that may exist, do NOT affect the safety, comfort or durability in any way! Ellevill Zara is produced under strict international ISO requirements. This means that the entire production process is protected by the ISO 9001:2000, ISO 14001 2004, the OHSAS 18001 and SA 8000 standards.